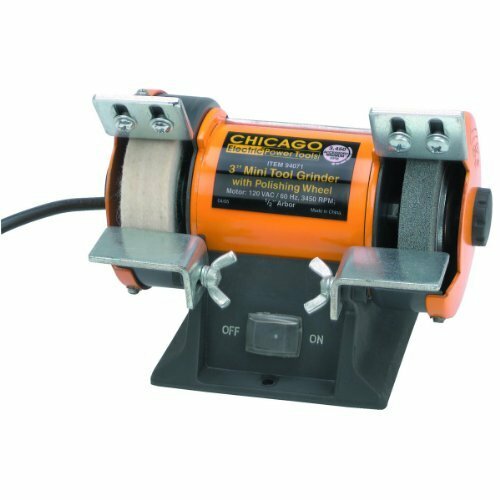 This compact grinder and polisher tool makes it easy to polish or grind small parts! The tool comes with a 3" grinding stone, a 3" cotton buffing wheel and spanner wrenches. Adjustable tool rests, eye shields, spark guides and nonslip rubber foot pads are included. The grinding and polishing tool also features a heavy duty aluminum base. If you have any questions about this product by Chicago Electric, contact us by completing and submitting the form below. If you are looking for a specif part number, please include it with your message.